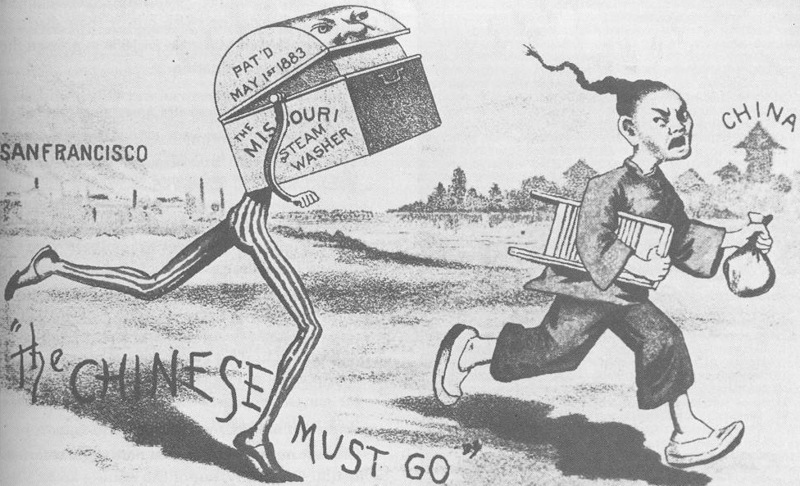 Caricatures were popular forms of ridicule used against Chinese, especially laundrymen, at the end of the 19th century. 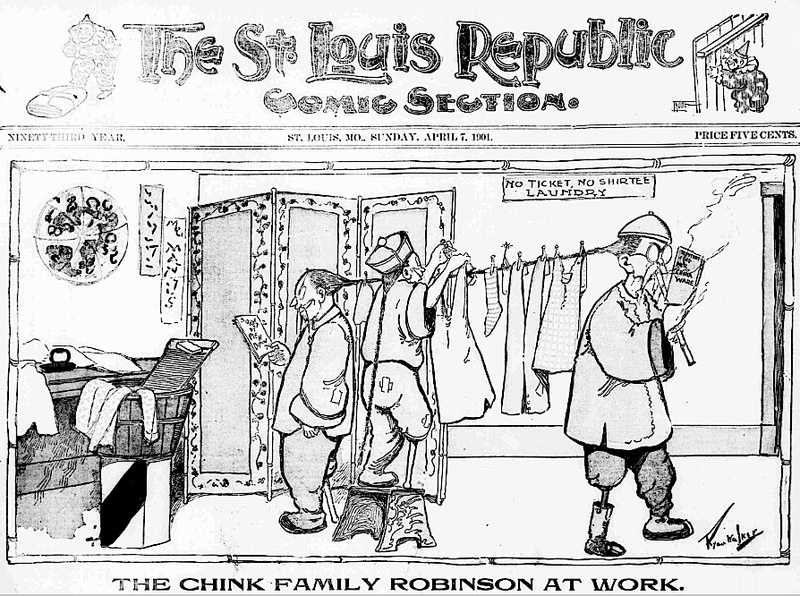 In 1901, the St. Louis Republic published two “Chinese Family Robinson” cartoons. 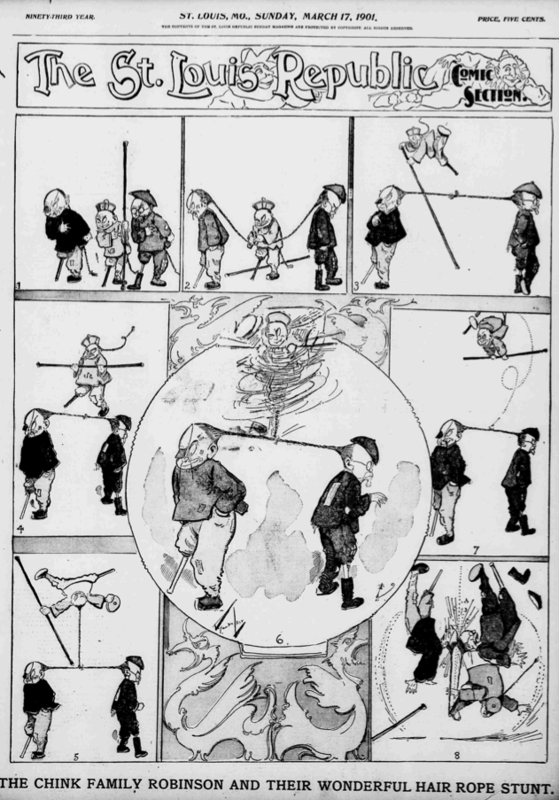 The one below imagines the acrobatic rope tricks that Chinamen devised with their queues. The second one shows a more practical application in which the clever Chinamen are shown using their queues to create a clothesline for hanging laundry to dry. 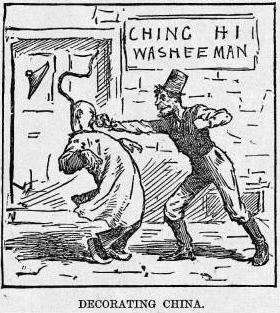 In contrast to this frivolous, yet insulting, approach, other drawings in popular publications were overtly hostile, depicting aggression and physical violence toward its target, Chinese laundrymen.